A powerful DVD burner designed for Mac users to edit and burn videos to DVD. This Mac DVD creator supports almost all popular video formats. It organizes your videos into slideshows, complete with customizable DVD menus(static and animation templates). It also provides you with flexible functions to edit your videos such as cropping video, trimming video length, and setting video effects etc. Burn almost any video format (AVI, MOV, FLV, MPG, WMV, M4V, MPEG, DAT, VOB, 3GP, HD video etc) to DVD. 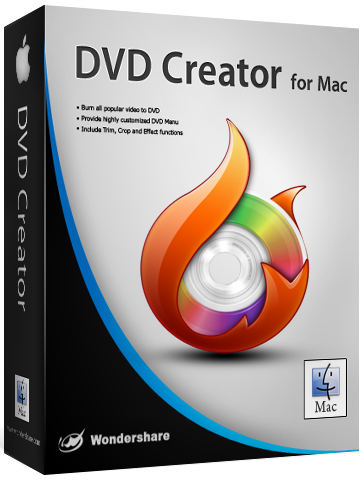 Burn ISO, VIDEO_TS to DVD, use DVD Creator Standard for Mac. You can trim the video by setting exact start time and end time or using 2 sliders to choose any part of the file you like to burn to DVD. If a movie has black video sides during playback, you can remove the black sides by cropping the video screen to get a more clear display area. You can adjust brightness, contrast or saturation effects of the video. It also provides different movies styles like Negative, Old Film and Black/White etc. 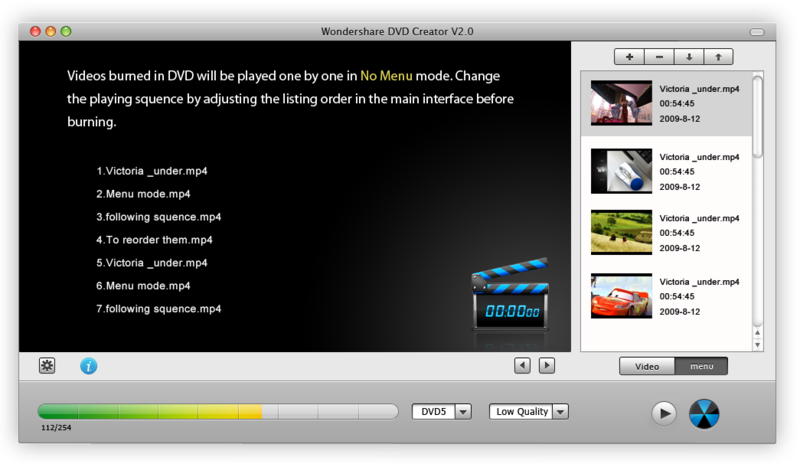 With both dynamic and still menu templates, this function can help you make special menu for your DVD. You can also decorate it with colorful Frames and Media Buttons. There are 4 output formats (DVD Disk, ISO, DVD Folder and DVDMedia) for you. You can also choose to create DVD9 or DVD5 Disc with different output quality. 1. Single-User License (Personal License) With Personal License, you can use the software for non-commercial purposes in non-business, non commercial environment. That is, you only intend to use it at home for private use and on exactly one computer per license. 2. Single-User License (Commercial License) With Personal License, you can use the software for non-commercial purposes in non-business, non commercial environment. That is, you only intend to use it at home for private use and on exactly one computer per license.